Membership offers collaboration with industry-leading organizations, including healthcare delivery networks, healthcare technology companies and the world’s healthcare institutions, legal firms and growth hacking resources who have already joined the Blockchain Healthcare Review in support of blockchain adoption in healthcare. 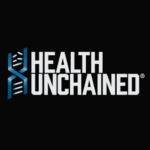 Blockchain Healthcare Review works with a broad ecosystem of partners across the spectrum of healthcare delivery and blockchain innovation, for both private and public sectors. We consider the members of our ecosystem are among the best at what they do and we strongly believe working together with our partners provides a better service to our clients.